For those of you who ask “How long?” or “How many times must this happen?” I’ll tell you precisely when it will stop. It will stop when people en masse are aware of the ways in which whiteness/white supremacy have shaped the way people of color are viewed, engaged, and treated in this world (even by other people of color). To come to this realization, however, white people will then have to be self-aware and convicted of the ways in which they have benefitted from and promulgated the lie of whiteness. As necessary as this is for the well-being of society, it is also an uncomfortable undertaking and there is literally nothing forcing white people to do it. White people, then, will likely have to create the force. White people, you have heard it said that you must talk to other white people about racism, and you must. But don’t talk to them about their racism. Talk to them about YOUR racism. Talk to them about how you were socialized to view, talk to, and engage with people of color. Talk to them about the ways you’ve acted on that socialization. Talk to them about the lies you bought into. Talk about the struggles you continue to have in shedding the scales from your eyes. Don’t make it “their” problem. Understand it as your own problem, because it is. To not do this would put you in danger of being yet another well-intentioned racist, convinced of their own goodness and living a life wholly unexamined and unaccountable to anyone. We don’t need anymore of those. It’s confession time. — Rev. 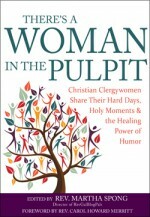 Denise Anderson is a member of the RevGalBlogPals Board of Trustees, a Presbyterian Church (USA) Teaching Elder living in the Washington metropolitan area and Co-Moderator of the Presbyterian Church (USA). She blogs at Soula Scriptura. Please do not lament that you cannot imagine what it is to be Black. Nobody needs you to be Black. Instead, fully feel what it is to be bankrupted by whiteness. Allow yourself to look, finally, at your gaping wounds, the wounds of whiteness. Acknowledge the paralysis you may feel around difficult truths about America and her white supremacist ideas, practices, and theologies. Acknowledge the disconnection and disembodiment you suffer because of generational denial and wrongheadedness. Acknowledge the guilt you feel because you’ve done nothing, said nothing, felt nothing. Acknowledge the shame you feel because you, too, are implicated. Acknowledge the resentments you may feel because you believe the call to center Black life is a diminishment of your own. I can’t imagine what it is to be white. When righteous white people understand how they have been poisoned unto death by white supremacy, perhaps our frameworks can change. — Pastor Naomi Christine Leapheart, a daughter of Detroit, is a minister, educator, organizer, and organizational consultant. She is an organizer with POWER (Philadelphians Organized to Witness Empower and Rebuild) and an anti-racism trainer. According to the Pew Research Center in 2014 70.6% of Americans, age 18 and older, self-identify as practicing a Christian religion. That may explain why, in light of the recent shootings and killings in the United States, all over various social media platforms everyone is talking about praying. Pray for the black community. Pray for our nation. Pray for law enforcement. Pray. Pray. Pray. I’m one of the 70.6%. I’m an ordained Elder in the Christian church as a matter of fact. But I’m also a black woman, divorced mother of two children; a daughter and a son. I wasn’t poor. My children weren’t impoverished. Although we were solidly middle class, I still learned firsthand the challenges of successfully raising black children, especially a young black boy into adulthood. I prayed too but at some point I had to stop praying and get to work. I couldn’t do it alone, however, I needed help. Help came in the form of faith, family and family-like-friends. Specifically, a Christian husband and wife, Elton and LeWan, with children of their own came to my aide. They didn’t just pray but they responded. Their help came at a very critical time in my son’s life and made a difference. Today, my son is proudly serving in the United States military defending and protecting the lives of all its citizens. The challenges that are facing our nation requires more than just praying to God but listening and responding to His call. God needs hands and feet; all 70.6% of us, to bridge the great racism divide in our nation. We are our brother’s keeper; regardless of race, gender, sexual orientation, or religion. — L.T. (Lisa) Lewis is an ordained elder and serves in a non–denominational Christian church, Sons of God Outreach (SOGO) Christian Ministries, in the Washington Metropolitan area. She blogs at Kick-Boxing Believers. I am trying to wrap my head around a group of four people who would agree to ambush and assassinate white police officers at a black lives matter rally. I am having a hard time with the idea that anyone would do that and find others who would agree to do that. I know it is not reasonable or rational. Black lives matter and the deaths of Alton Sterling and Philando Castile were used in the sick, twisted self-aggrandizing murder spree. Not in our names. Not in the names of the dead. Not in the names of the murdered. We need to address gun culture in this country. We need to address racism in this country. We need to change police culture and tactics in this country. We need to build bridges between police and the communities they police. And we need to mourn, lament, pray, prophesy and preach. We need to do the work that needs doing for ourselves, our children and our society. No matter who is against us and this work, though the forces of hell array against us, we must do this work or none of us shall survive. The assassinations of the Dallas police officers must be talked about in their context which includes black lives matter. We must continue to say that we were doing the work partnering with our officers. We will not let our name or the movement be hijacked. Nor will we be shamed into not saying that #BlackLivesMatter. — The Reverend Wil Gafney, Ph.D. is Associate Professor of Hebrew Bible at Brite Divinity School in Fort Worth, Texas and is an Episcopal Priest. Follow Wil on Twitter and read her blog. RevGalBlogPals is developing a list of Anti-Racism resources; please comment with recommended additions or send them via email to revgalblogpals at gmail dot com. I am challenging the entire world to come together on July 16th and for one hour come outside and hold hands. Every color, religion, political background, beliefs, enemies, friends, family, and all humans that live on this planet. We have the power to change the negative energy that is driving us to total destruction. Please stop all disagreements, hate, and talk of war for one hour to heal our planet and selves of all this build up of negative energy. Please help support and get the word out ASAP!!! Share with ALL!! I have never looked on black people as any different from anyone else. I judge by actions, not appearance. I find this demeaning and insulting. How can we ever move forward if you think this about white oeople? It will never end. The only person that was racist toward me was a black woman who helped take care of my mother. I considered her a friend. When my mother died I called to tell her and she said that we are never going shopping again and hung up. I think she did not like white people and that came from her upbringing. So maybe blacks need to take the beam out of their own eye first. Carrie, I hear you judging the entire Black diaspora based on your painful interaction with one Black person …. yet you do not want all White people to be judged based on the actions of some (overtly) racist White folks. This is inconsistent and inappropriate. I’m sorry that you felt hurt by a friend following your mother’s death, however it reveals a personal bias that you judge all Black persons based on one person’s actions. Carrie, I’m a RevGals Board member. In love, I must say that your comment is emblematic of the reason that a problem exists now. For too long, too many of us who are white have said, “oh, we’re all the same!” “oh, the Black people who work for me are part of my family!” It’s turning out to not be true…despite our best good intentions. And that’s why it’s time for us to listen to the great hurt that’s been caused, hear the hard truths our Black colleagues are telling us, and work on how to amend our ways. Carrie, I’m sorry for the loss of what you viewed as a friendship. I’m sorry that your experience has been painful. I am white (as I’m assuming that you are, from what you say in your comment). In this article, there are four black women sharing their own pain and experience, as well as some advice for their white sisters. I can’t discount their wisdom, nor their pain, nor their experience. Being a racist is something all white people have absorbed and learned, simply by growing up in this culture. We benefit from a system set up to benefit white people. Though we may not see our actions/thoughts/words as overtly racist, sometimes our own perceptions are not accurate or complete. I’m just asking you to listen carefully to what our writers have said. It’s challenging, no doubt. But if we can’t listen to each other and consider someone else’s experience as valid, it’s hard to see how we can begin to heal. Carrie, we whites can never experience in a challenging blog post anything as demeaning and insulting as our Black colleagues regularly endure. Ending racism and dismantling white privilege is urgent, difficult work and you have revealed what trips me up, too: I can’t look past my own hurts to realize that even that pain is the result of systemic white supremacy and my white privilege. No one is free until we all are free. That’s the message of Black Lives Matter. Your energy and passion for justice is needed in our anti-racism work. Please join us. So sad Carrie. You didn’t “hear” a thing. I pray that you and so many others will “hear” soon. Really? Are there black people in your community? Have you ever averted your eyes on public transportation to avoid looking at a group of young black men? Ever felt uncomfortable walking past that group? Or have you been at a stoplight next to a car full of young black men, and avoided looking in their direction? Did you ever have a negative thought in your head about a person of color being arrested, before they were even charged or convicted? Never? And what actions do you judge people by? Loud hip hop music? Does that bug you? Playing basketball in the street? Or do they have to rob a convenience store? Not sure what you mean by judging people you don’t know by their actions. Any white person that says they don’t see color, they are color blind, is not telling the entire truth. When you meet someone for the first time, do not tell me that the first thing you see is the color of their skin be it white or black. I am white, was married to a person of color, my daughter is a person of color and I am freely admitting that I have done all of these things. I do judge people sometimes when I should not, feel threatened for no good reason and yes I wish we were all color-blind, but realize that day has not come. We all have prejudices. Time to acknowledge and own it and work on being better people, and speaking out about it. Thank you for this post. I was having a conversation similar to what you are describing the other day and struggling to articulate it as clearly as you just did. They are indeed difficult conversations to have but they are so necessary if we are ever going to be the change we want to see in this world. Amen. Thank you, sisters. May God so give me the strength to see and acknowledge my white privilege, and to act as a form of prayer. I am a pastor as well. I was brought up in the 60’s during the riots in Milwaukee. I saw the hatred. In the 70’s Black young people were bused into the high school I attended. We had over 3,000 students. We never had a riot. We never experienced any problems! Probably because we respected and accepted each other including the disabled. Maybe because we didn’t judge each other by color, maybe because we didn’t see color!!!!! Jesus is my example of showing love and teaching it. That. is. it…. I grew up in a white suburb. When it came time to buy a home and raise my own family, I believed I was choosing a place with “good schools”, but I know now that in most places “good schools” means “white schools.” I wish I had chosen differently, because my children have grown up in an environment nearly as segregated as the one I grew up in. We are all the worse off for it. I make sure my children know I feel I’ve made mistakes, and that I do NOT want to contribute to another generation of well-intentioned but clueless racists. I will do better. I won’t just sit here and hope things get better. I’m going to listen and support, I’m going to speak up, and I’m going to march. I am fascinated that is the thing you are reacting to…or rather, that your assumption about what is happening in the picture has caused such a reaction. What if she was pumping her fist in the air for emphasis with her words, and this is the moment the camera caught? And if it is the Black Power symbol, why must that only ever be related to the “violent Black Panthers” of 50 years ago? I do not know you, Patricia, and I suspect you do not know Traci. I would just like to question whether the problem is with Traci’s hand gesture, or with your interpretation and reaction to that gesture that, it sounds like, does not really belong to you or your community. Is it possible for her to do something that is meaningful to her and the people she is speaking to, that isn’t meaningful to you (or that has opposite meaning for you), and have that be okay? Can there be Black Power without you feeling threatened enough that you can’t even read the words of four sisters who have shared their hearts, *yet again*, with a bunch of white people looking to learn from them in the midst of their pain? I appreciate you sharing your opinion about what we should or should not raise in our hands. I disagree vehemently with your opinion (hands lifted in prayer? in blessing? lifting babies at a baptism? the bible? showing the pictures in a storybook during children’s time? Just talking with our hands as many of us–me included–do?) but I am glad you shared it, as it gives me something to think about when I am considering what I do with my hands when speaking. I hope one day to be as intentional about my gestures as I think Traci is being in that picture. Usually when I have a such a negative, visceral reaction to something, it leads me to explore what it is that I am feeling negative about within myself: guilt, unspoken words, unkept promises, etc. When I see that picture, I see a woman who might be raising a fist in the Black Power symbol and it seems consistent with the text of the article. I do not feel threatened by it in any way. I am obviously younger, because I was not born until the very late 60’s, so my knowledge of the Black Power movement was taught as mostly positives that started with community organizing. Your assumption was not my assumption. What is wrong with Blacks having power? 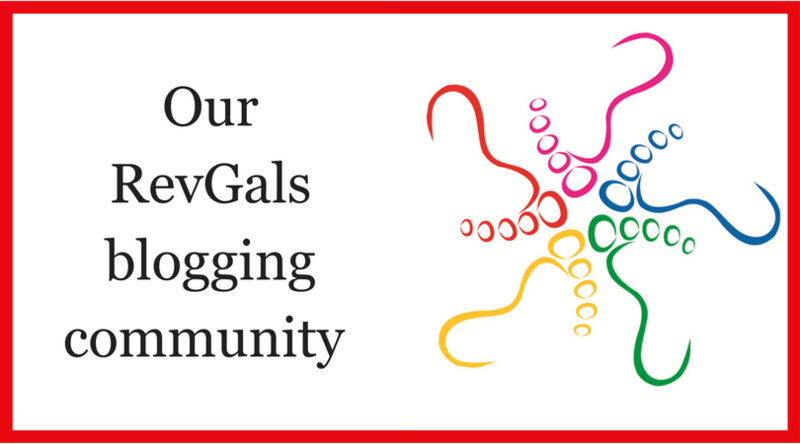 Patricia, as Executive Director of RevGalBlogPals, and as someone who knows the Rev. Traci Blackmon personally, and as an American born in 1961, I have three thoughts in response to your comment. First, one of the gifts of the longstanding ecumenical ministry of RevGals is learning that one’s own way is not necessarily the only way to exhibit faithfulness to Jesus Christ. In my tradition, a certain thing may be typical, in yours another; in mine a certain thing anathema, in yours acceptable or even desirable. There is much to be gained by wondering or asking a question rather than condemning or dismissing. I chose this picture for our banner over our usual rotation of photographs because this does not seem like the time for the whimsy found in some of our photos, and as a gesture of solidarity on the part of our ministry. Here is our statement on Black Lives Matter. Second, Rev. Blackmon and I are colleagues in the United Church of Christ, a denomination passionate about inclusivity, created from the combination of four denominations and welcoming members and clergy from many other backgrounds. We live with very few rules or prohibitions, and honestly, unless activity lies outside ethical bounds, no one can tell us how to use our arms and if or when to raise them in the air. At this link is a short video taken of Rev. Blackmon with a group bringing petitions to the site of the Republican National Convention this week. (A similar action will take place outside the Democratic Convention site later this month.) Take a few minutes to watch, see and hear the person whose gesture disturbed you so deeply, to hear her speak of a call to righteousness. You’ll note her hand raised in this video, too, a hand of leadership and praise. Last, I was a child in the 1960s, and I remember the conversations my parents had about the use of the Black Power salute. More than 50 years have passed since the Civil Rights Act, and I want to think some things have changed, but the demographics of our society would suggest otherwise, measures of the quality of schools, and the effective segregation of neighborhoods, and the disproportionate killing of Black men by police. Measures to protect voting rights have been diluted by the Supreme Court. The election of a Black President saw a rise in racial animus and racist activity, including incitement of white supremacy. Rev. Blackmon speaks, prays, and marches in a moment of despair, bringing a voice of strength and hope to all people. If a Black Power salute still seems necessary, white Americans, and particularly white Christian Americans, need to ask ourselves why we haven’t done more to effect and maintain change in our country. I just threw a picture of “Jesus” that was in a box with some things from a yard sale in the garbage and came in to talk about why. The picture was of a Caucasian man with blue eyes and long straight hair with blonde highlights. He was also very handsome. How can you win when even your “god” is made to look like people who have persecuted you for centuries? White privilege? I say yes. ^^ I am reading Stand Your Ground: Black Bodies and the Justice of God and all of this is covered in her first chapter – about how Anglo-Saxon looks became the ideal and how God is shown with those same looks and ideals – it is very good! Of course I know distinguished black people with hair and beard white as snow. See famous jazz saxophonist Sonny Rollins. The clothes were white. The hair like wool. Amen to your powerful, prophetic ministry. Spirit is moving! I humbly submit this blog post as a small contribution to your radical call for transformation and truth-telling. May it be so! Two weeks ago someone commented on the town Facebook page about the climate of things in this country. Within a few hours there was a congregation of people of all races, ages, genders and you name it. All of them praying on the town square where the Klan used to meet just a few years ago! Great analysis. We write about Detroit and many of the great things happening here.